Hello everyone! As of this morning, we're officially back from our California vacation. We had a successful time going to my sister's wedding and visiting family, as well as a little trip to Disneyland! More on that soon. Right now I'm just glad to be back home and excited to get back to my daily posts. 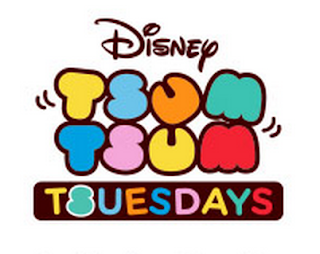 This past Tuesday (July 4th) while we were away, a very exciting Disney Store "Tsum Tsum Tuesday" release happened: "The Best of Pixar 2", featuring a mix of seven brand new, never before released Tsums from both Ratatouille and Up! 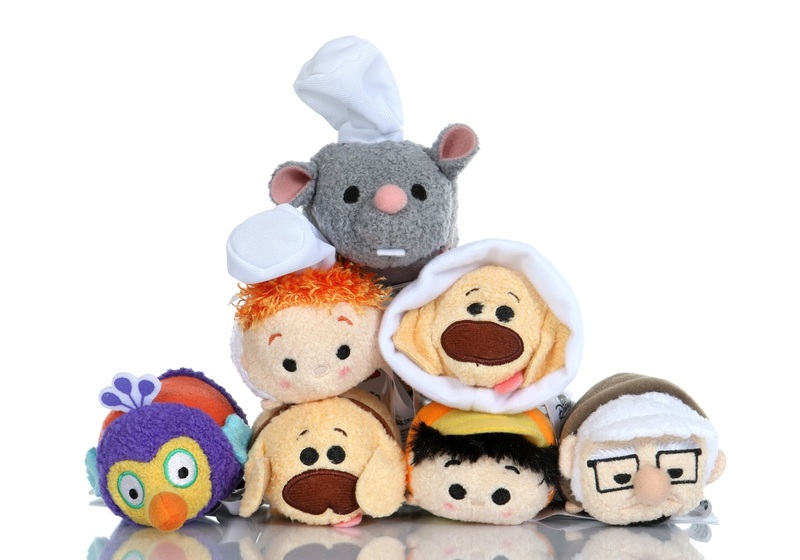 Remy, Linguini, Carl, Russel, Kevin, Dug and Dug (with cone of shame) are the seven characters included this time around. By the way, being across the country didn't stop me from snagging these on the day of release—you know I had to find a local Disney Store to hit up the morning of! The Carlsbad Disney Store Outlet ended up being the closest one to where we were at. 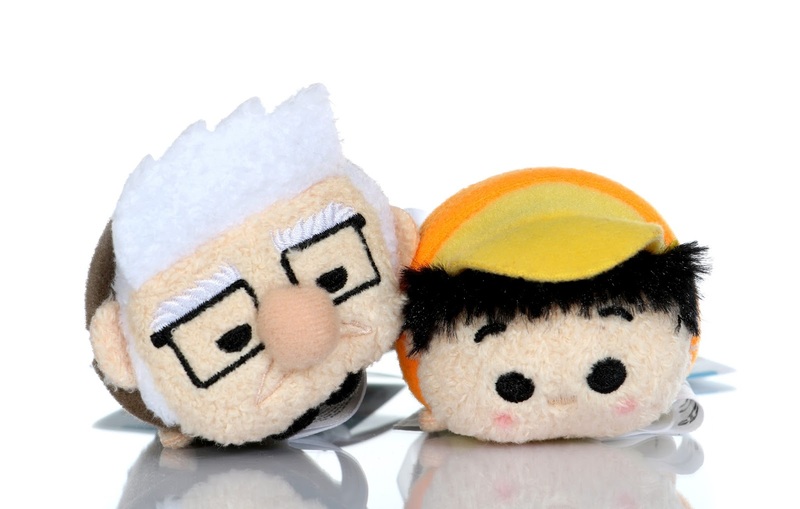 Note- The first "Best of Pixar" Tsum Tsum collection was released back in February and included characters from Wall·E and A Bug's Life. If you missed that post, be sure to check it out HERE. 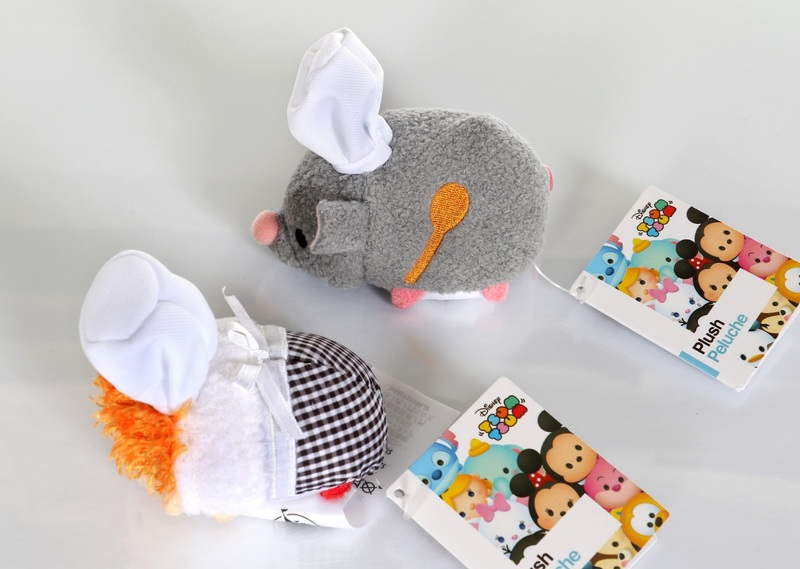 I had hoped for Ratatouille Tsum Tsums for a long time and was so pumped to see this release was coming. It would have been fun to get a whole series dedicated to the film (given that it's one of my favorites), but at least we got the two main leads here in this collection! How cute right? 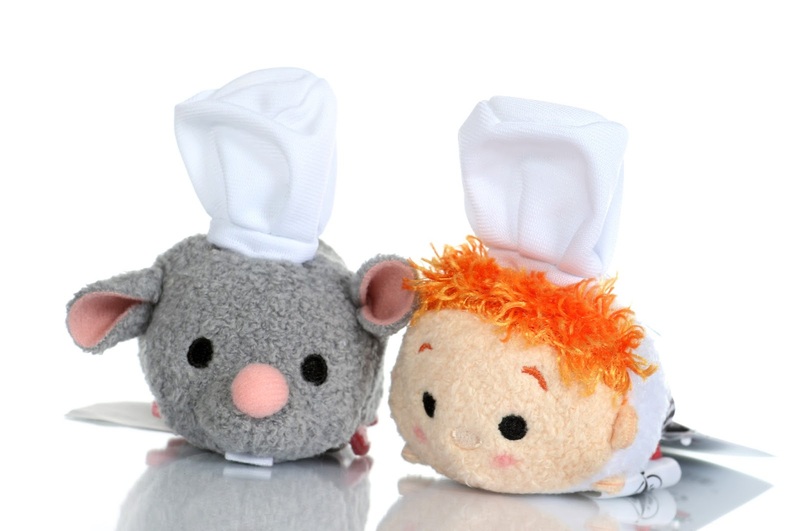 A few details that I have to mention are the adorable chef's hats, Linguini's fiery hair and "apron" ribbon (also, notice his red "sneakers"?) and Remy's front tooth and embroidered spoon. I especially love the fabrics and materials used here as they add so much fun texture and overall charm to both of these. One thing I did take note of is that Remy is actually grey here and not blue like he is in the film. It's really no biggie, but it seems like a weird detail to get wrong. He's still just as cute when it comes down to it though, but I just had to bring that point up. 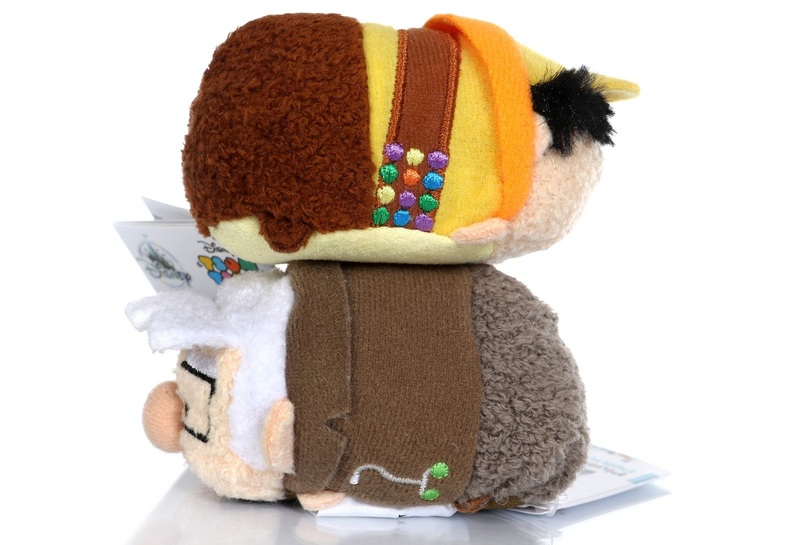 The fact that Carl and Russel made it into this collection just makes me so happy. I love these guys! 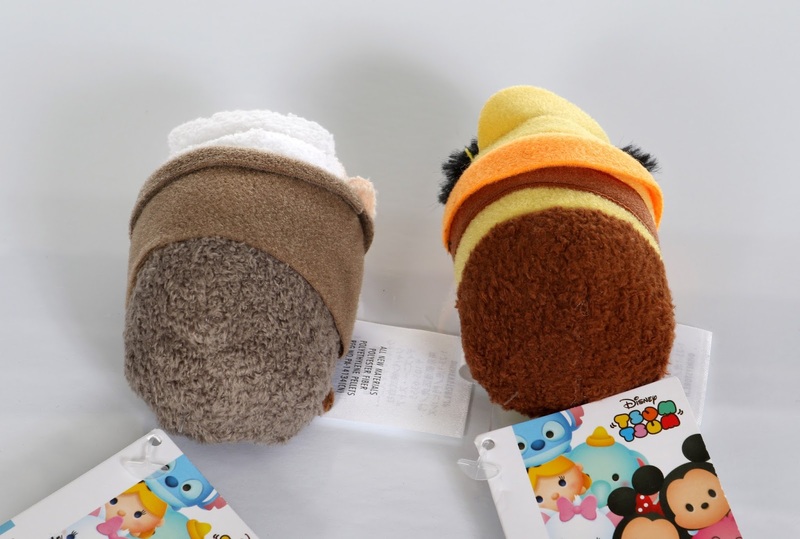 It's so exciting that we finally have some Up Tsum Tsums, especially since Up doesn't get very much merch in general. It's a rare treat. 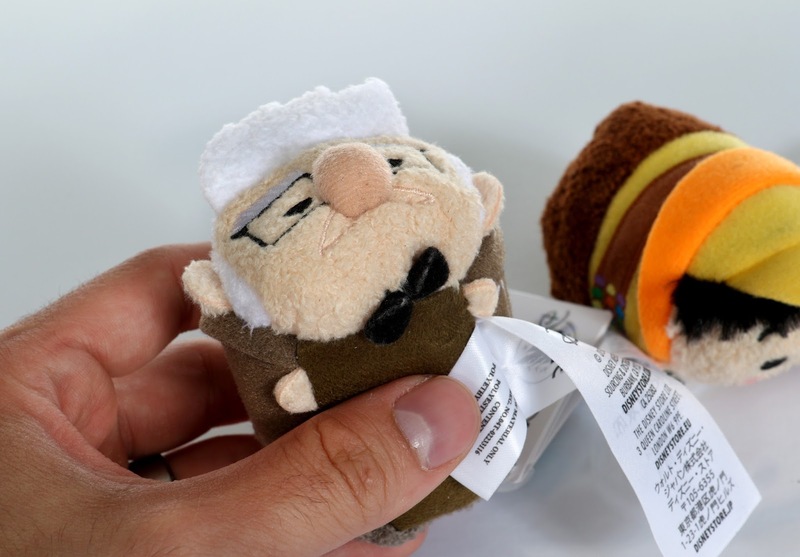 The details I have to bring up here are Carl's embroidered tennis ball cane and his bow tie (heck, Carl's whole face/hair is awesome) and Russel's embroidered Wilderness Explorer patches/sash. Just perfection! My hat goes off to the creators for giving us Pixar fans all sorts of little things to catch. Everybody loves Dug and Kevin and I'm no different...SQUIRREL! 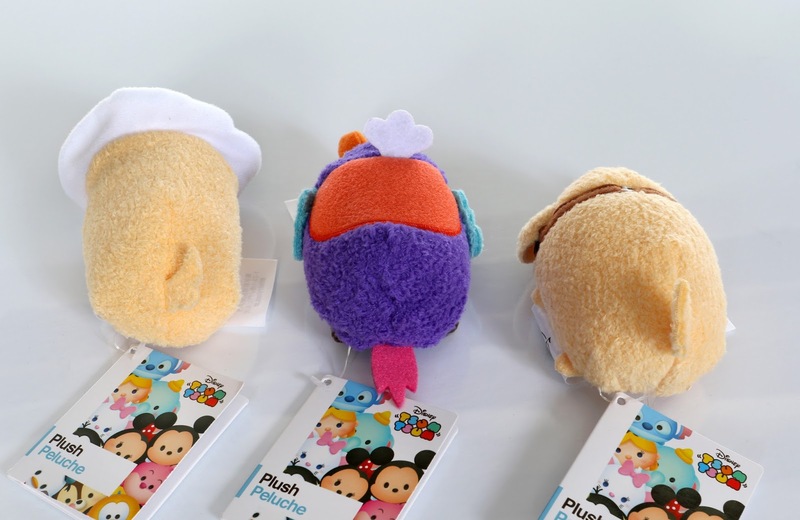 These were the perfect choices to round out this collection of Up characters (in fact, these were all in my Tsum Tsum wish list back in my original "Best of Pixar" post). 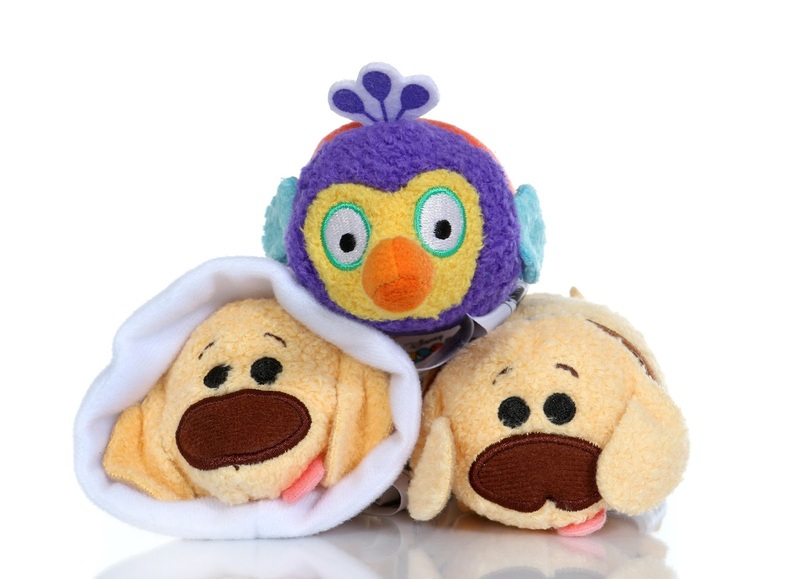 The details that stood out to me here are Dug's cute tongue that hangs out [of both of them], the cone of shame (of course), Dug's embroidered talking collar and Kevin's hilariously long beak. I love all these colors! 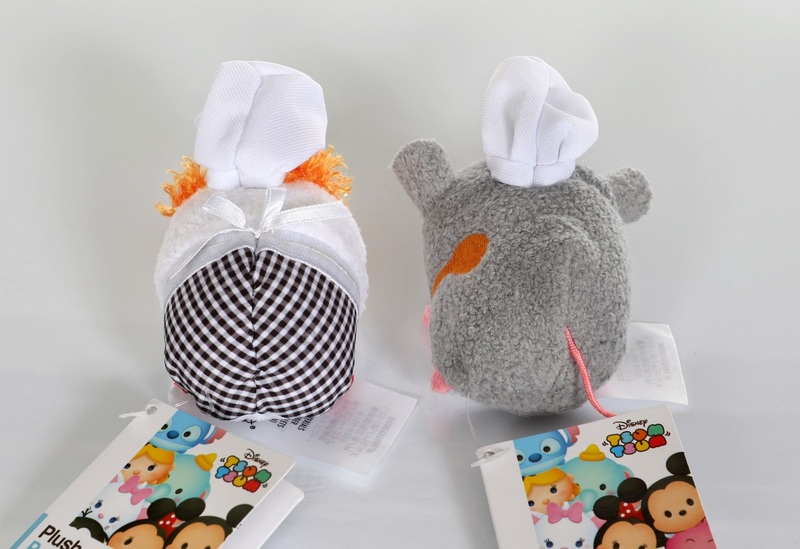 What a great batch of Tsum Tsums. It's nearly impossible for me to pick a favorite, but I think it might be either Carl or Linguini (with an honorable mention to Kevin). 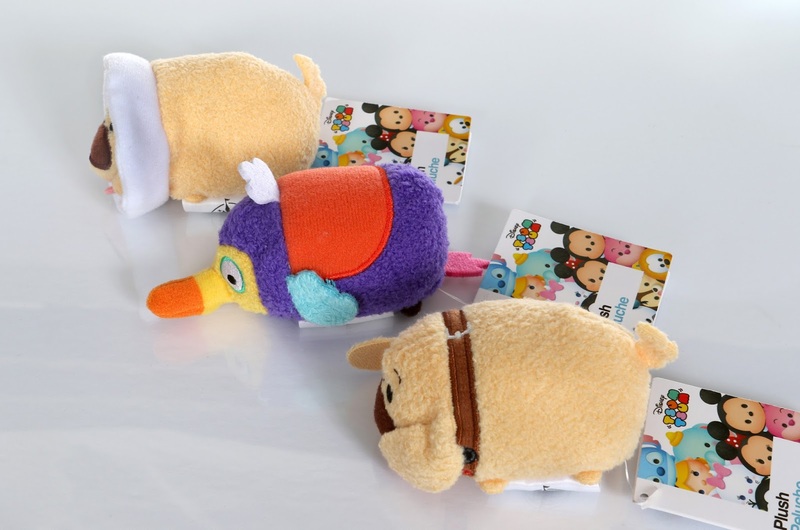 Pick these up at your local Disney Store before they're gone or snag them on their website right HERE. Have you purchased any of these yet? Which one is your favorite? Who do you want to see in a third "Best of Pixar" Tsum Tsum collection? Shout out your thoughts in the comments below!